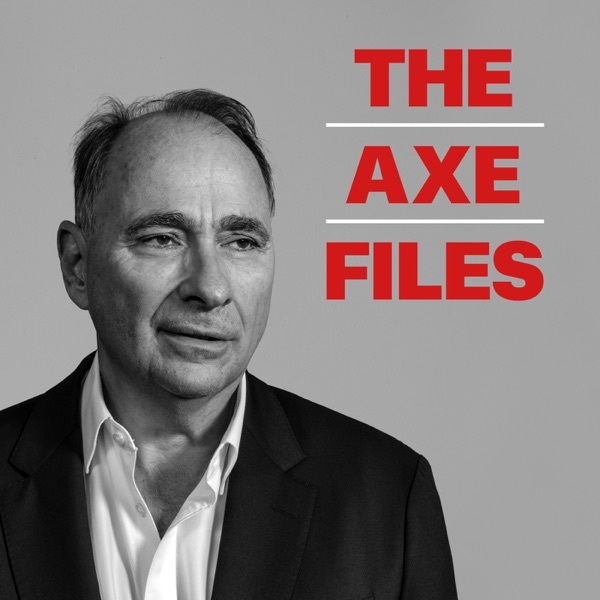 The Axe Files with David Axelrod | Listen Free on Castbox. Congresswoman Jan Schakowsky is the U.S. Representative for Illinois's 9th district, a position she's held since 1999. She joins David to talk about her start in politics as a grassroots organizer, how early activism evolved into a career in public service, and her take on Congress today: from winning back the House majority to governing in the age of President Trump. We’re happy to announce that the Axe Files is joining the Luminary podcast network! Go to luminary.link/theaxefiles and sign up before April 22 to get your first three months for free and only $6.99 a month after that for the first year – which is $1 off the monthly subscription fee. The subscription fee allows us to deliver you episodes and our full archive completely ad-free. On April 23 you can download the Luminary app for free and listen to the Axe Files there. Then on May 20 our show will only be available on the Luminary app for Premium subscribers.Luminary is a new podcast company that is exclusively devoted to podcasts. We will be joining them as a podcast for Premium subscribers, allowing us to deliver ad-free content to you in perpetuity. With a premium subscription you will have access to all of our future shows, ad-free archives, and dozens of other exclusive shows, including ones with hosts like Guy Raz, Lena Dunham, Trevor Noah, Leon Neyfakh the creator of Slow Burn, Hannibal Buress, Celeste Barber, and podcasts from Conan O’Brien’s Team Coco and Bill Simmons’ The Ringer. We love doing this show for you guys and there are many more great Axe Files conversations coming your way via Luminary. Tommy Vietor is the former National Security Council spokesman under President Obama and current host of Pod Save the World on the Crooked Media network. He joins David to talk about his journey on Team Obama—from driving the press van in Iowa to NSC spokesman—and what he learned along the way. Vietor also shares his view on the international crises in Syria, Venezuela, and Israel, assessing the Trump administration’s diplomatic efforts to tackle these issues. Legendary broadcast journalist and news anchor Bill Kurtis joins the show to talk about the history he's witnessed from his many years covering the news, from being threatened by Charles Manson to his investigative work on the effects of Agent Orange on soldiers returning from Vietnam, and everything in between.